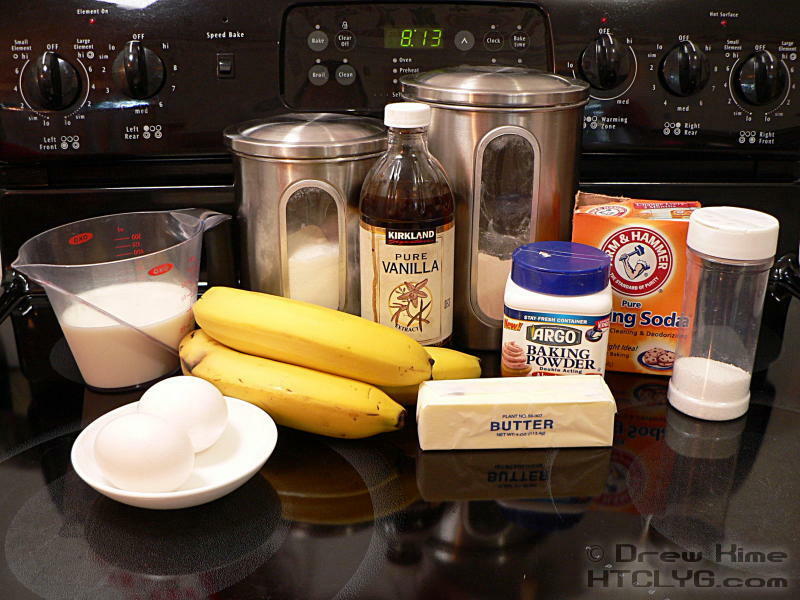 I’ve had plenty of banana bread in my day. But it always seems like more of a cold weather food. Go figure, a tropical fruit that makes a cold weather bread. Doesn’t make sense, but that’s how it is. 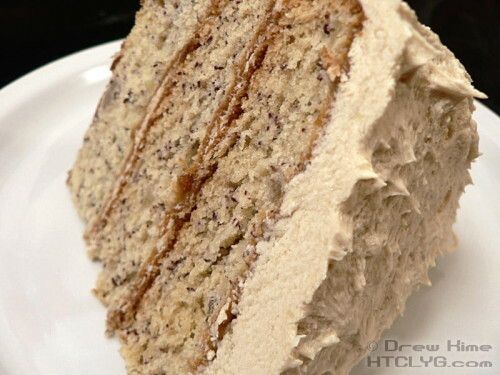 This cake, though, is lighter than any banana bread I’ve ever had. And with the brown sugar buttercream frosting, it’s an amazing summertime treat. 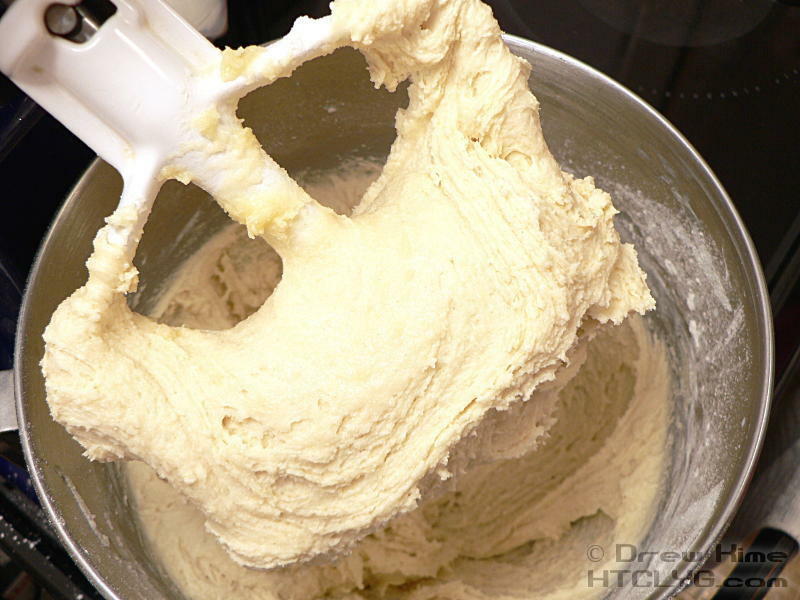 Worried that baking these will make your kids fat? 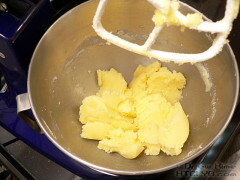 Click here and take two minutes and go answer the poll question. 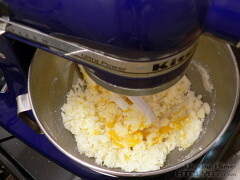 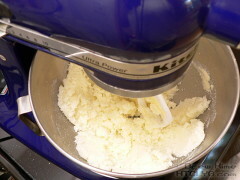 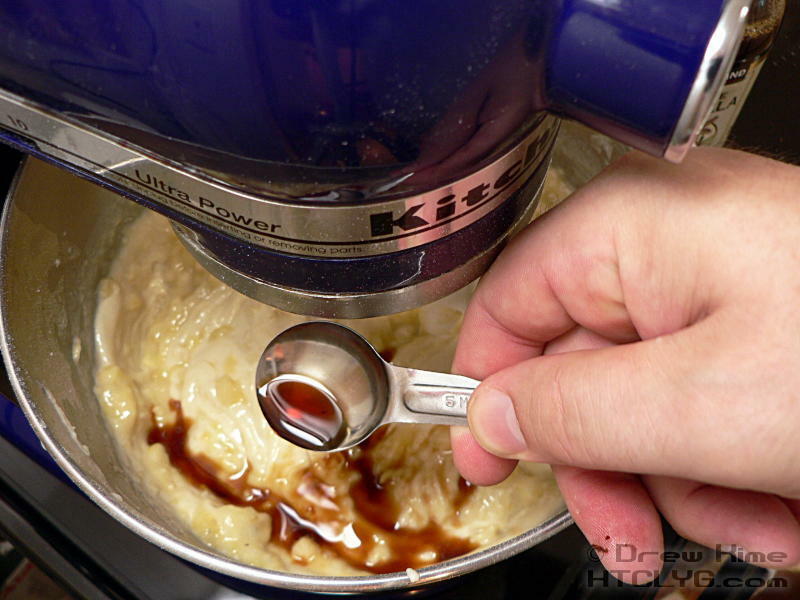 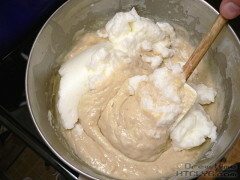 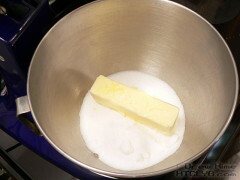 Combine the sugar and butter and beat on low speed until completely combined. 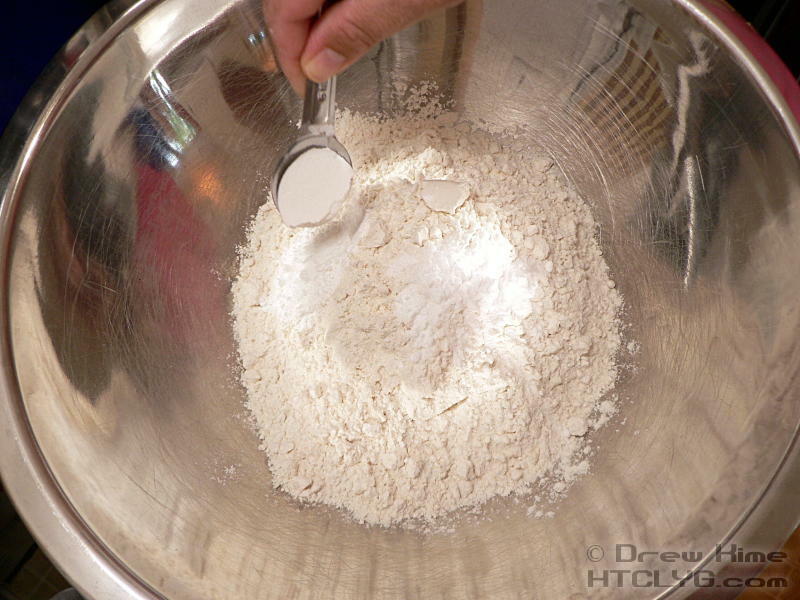 In a separate bowl, combine the dry ingredients — flour, baking powder, baking soda and salt — and whisk thoroughly. 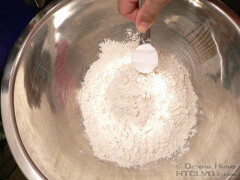 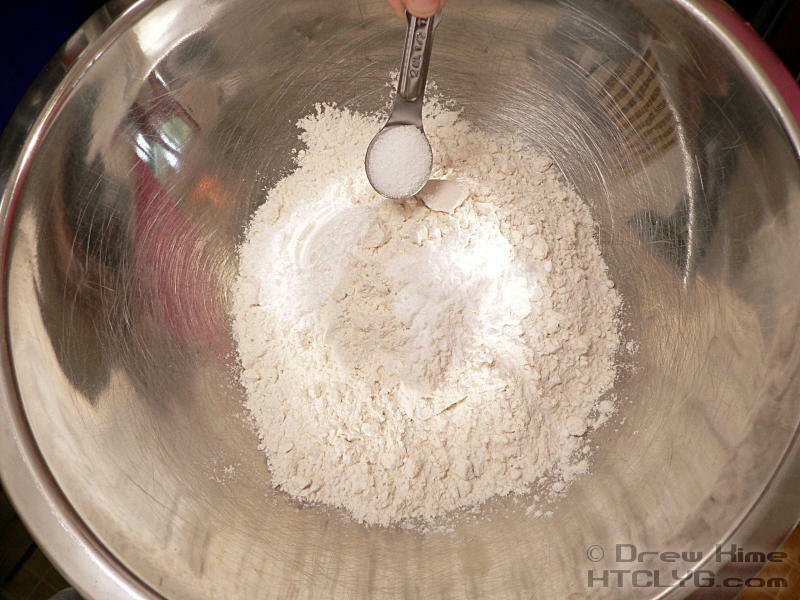 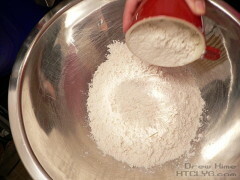 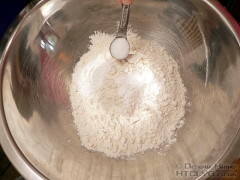 You’ll want the baking soda to be well distributed throughout the flour before adding to the wet ingredients. 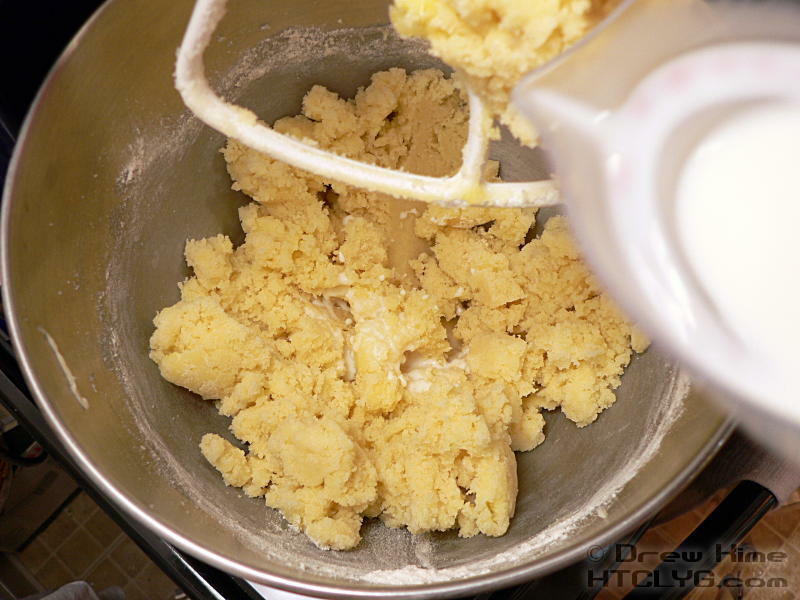 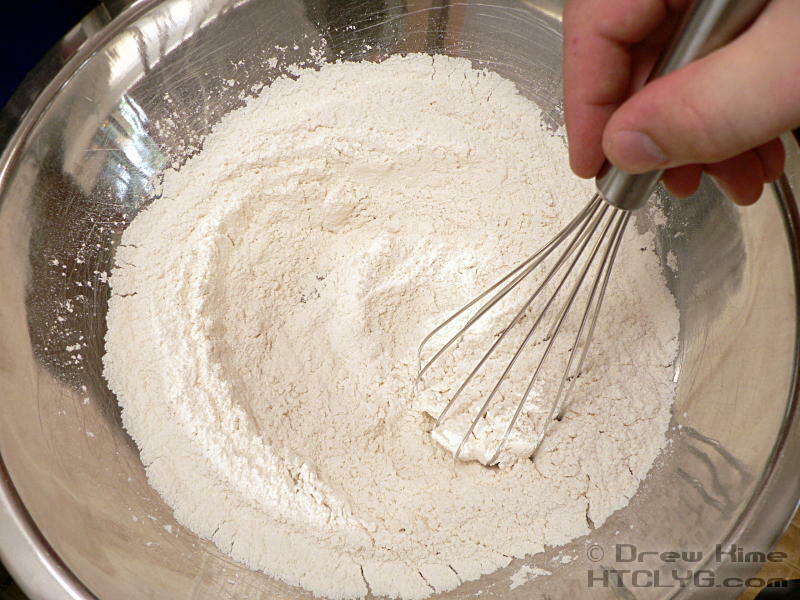 When you’re done, you should have a nice, soft, fluffy batter. 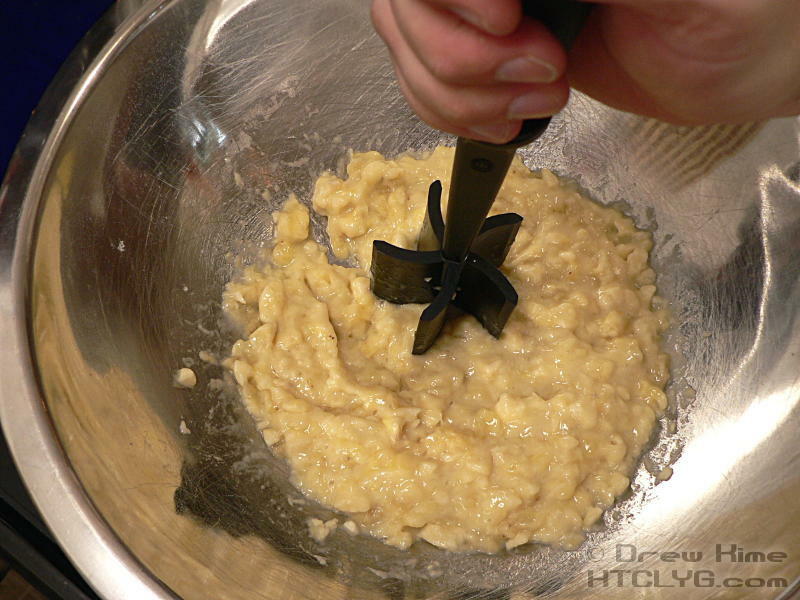 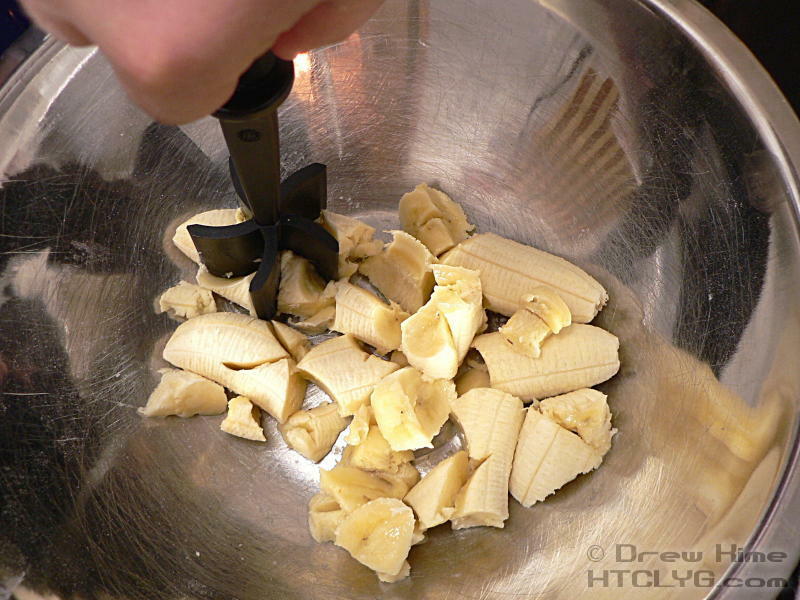 Now mash the bananas and add them to the batter. 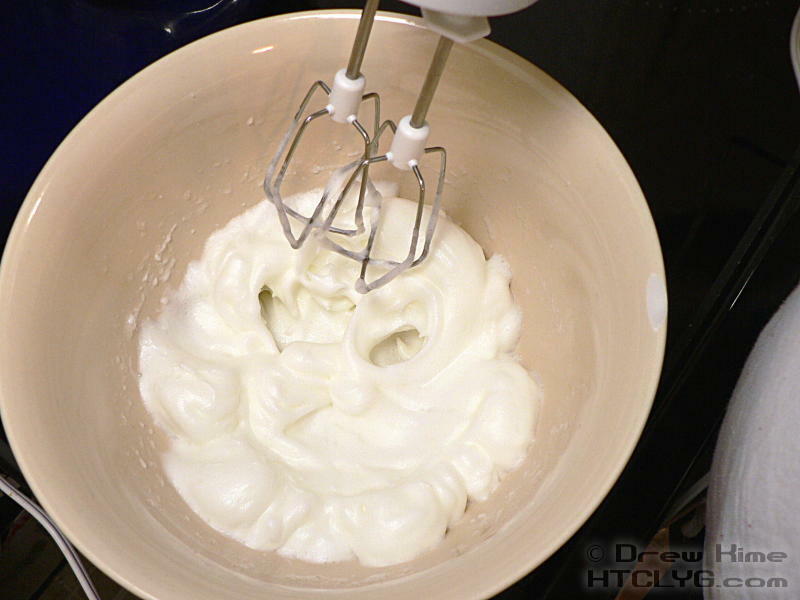 Whip the egg whites until they form stiff peaks, but not so much you dry them out. 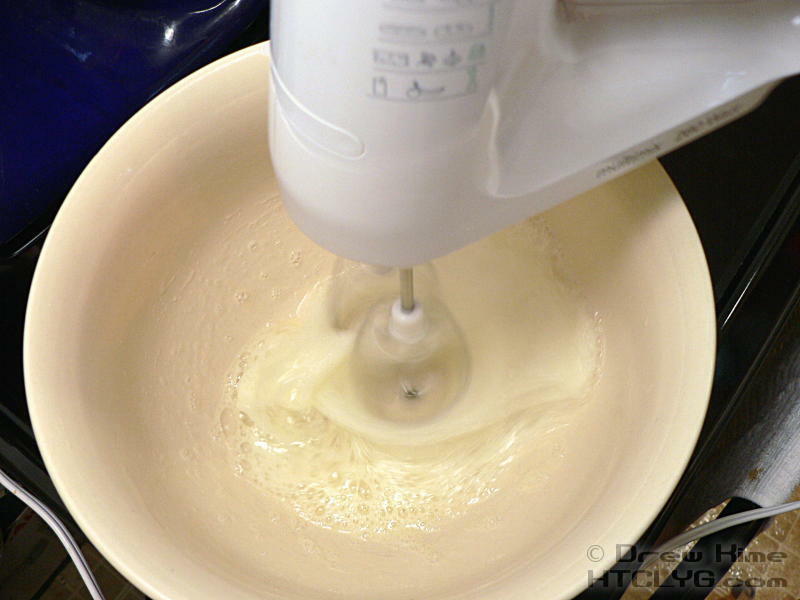 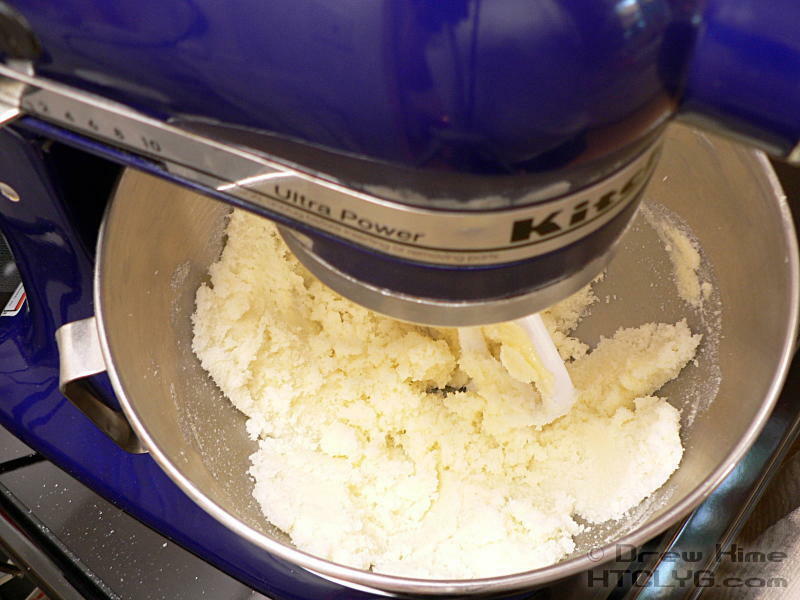 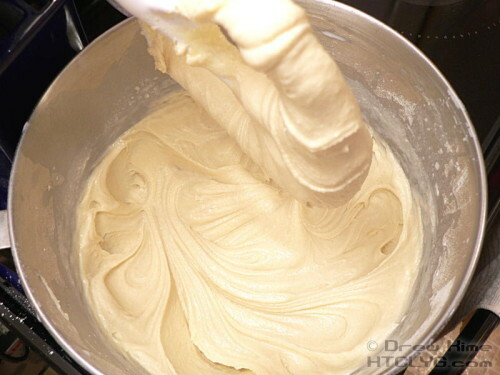 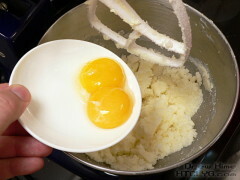 Carefully fold the egg whites into the batter, trying not to deflate them too much. 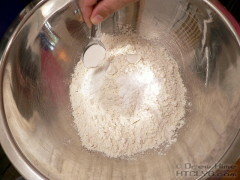 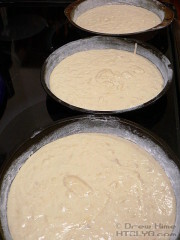 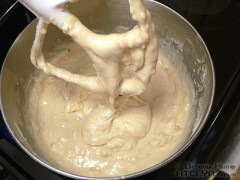 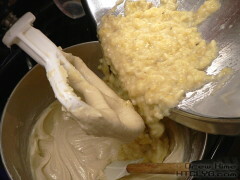 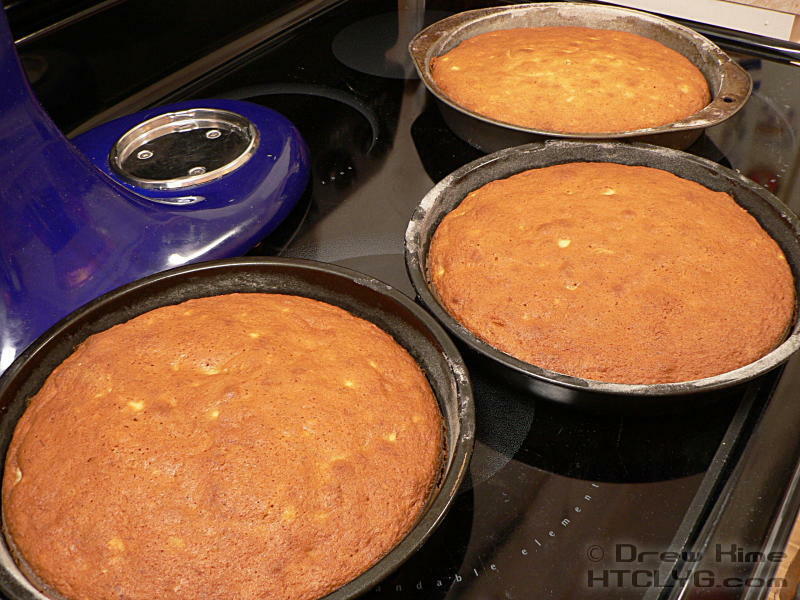 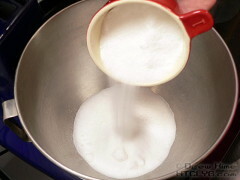 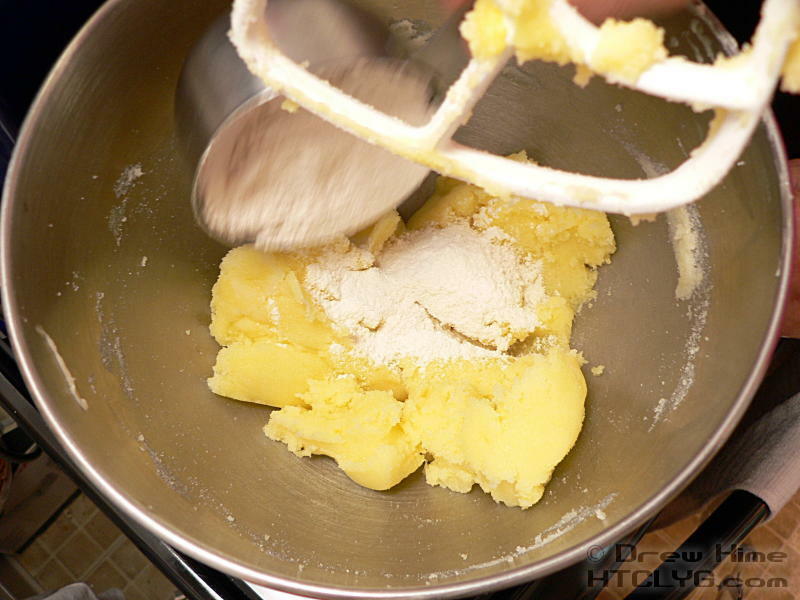 Pour the batter into three greased and floured round pans. 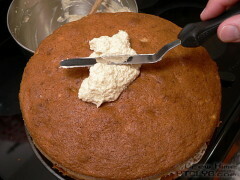 Bake at 350° for 35 minutes, until a toothpick inserted in the center comes out dry. 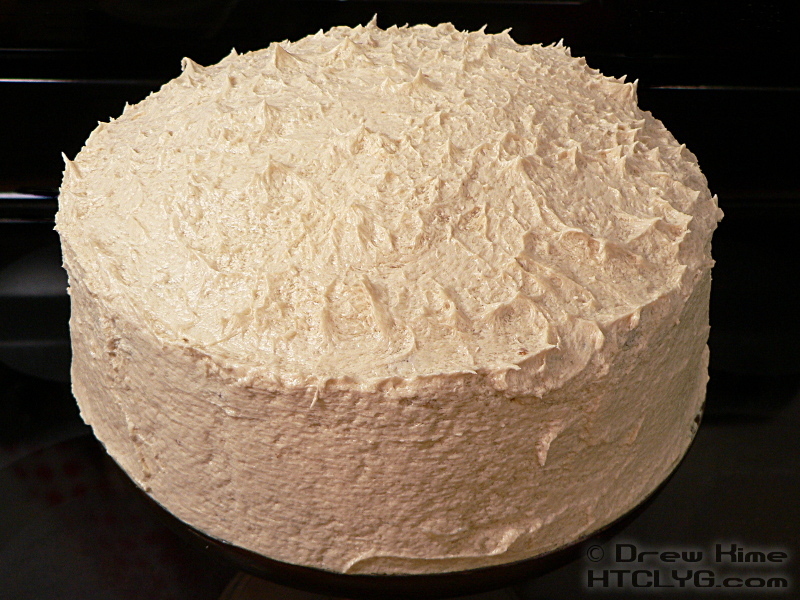 Pop the cakes out of the pans and let them cool to room temperature, then frost with the brown sugar buttercream frosting. This frosting will stay soft and creamy at room temperature. If you want it to firm up, you’ll need to put the cake in the refrigerator.